The charming town of Walkersville Maryland is conveniently located about 5 miles north of the City of Frederick. Walkersville has a fire hall, where various activities are held, including cookouts, auctions, and the annual Volunteer Fire Company Carnival which occurs over the week of July 4. Fireworks included. One of the favorite attractions in Walkersville is the Walkersville Southern Railroad, which offers several children’s events throughout the year, like Jesse James Old West Train Raid, and regularly scheduled scenic rides and dinner trips. Originally, the train was part of the Pennsylvania Railroad built in 1872. Walkersville branch of the Frederick County Public Library is the site of many community activities throughout the year, including Family Movie Night. There is a Farmer’s Market downtown on Frederick Street on Friday afternoons. See all the town information on the town of Walkersville website. The government consists of a Burgess and 5 commissioners. Town meetings are held the 2nd and 4th Wednesdays of each month at the Town Hall. Like the Walkersville Facebook page for the latest updates. Walkersville Md, zip code 21793, had a population of around 6044 in 2013. Including the surrounding neighborhoods, the population reaches about 10,000. The median age of residents is 40 years. Walkersville is located in central Frederick County, with average temperatures, wind and sunshine below the U.S. average. Precipitation, snow and humidity is above the U.S. average. The estimated median household income in 2013 was $91,868, the 2013 cost of living index in Walkersville was 109.1 (more than average, U.S. average is 100) The most recent unemployment records show the rate in 2014 was 5.4%, lower than the state of Maryland average of 6.2%. The average commute time for Walkersville residents is about 20 minutes. The proximity to commuter routes makes Walkersville ideal for employment in Frederick, and east in Carroll County and Howard County, and north in Pennsylvania. Nearby commuter routes include I-15, I-270, I-70, US 194 and 26. Walkersville is served by TransIt, the Frederick County bus system. 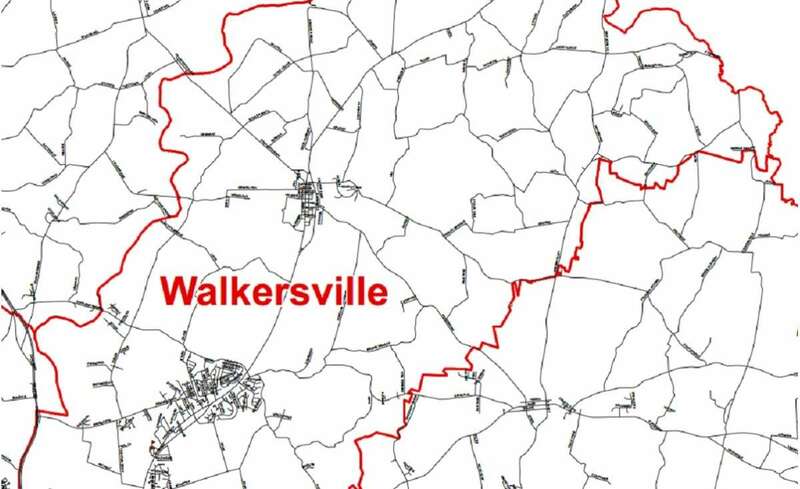 There are four schools in the town of Walkersville: Glade Elementary, Walkersville Elementary, Walkersville Middle, and Walkersville High. Walkersville is the location of an Adult Education center on W. Frederick St., across from the middle school. Preschools in Walkersville: Children’s Center of Walkersville, Weekday Nursery School, Glade Valley Preschool, LLC. Elementary Schools: The Banner School is loacted on North Market St., 5 minutes from Walkersville. Frederick Community College, 5 miles; Hagerstown Community College, 20 miles; Mount St. Mary’s University in Emmitsburg, 14 miles; Shepherd University, 25 miles; Hood College, 6 miles. There are four Walkersville Parks: Creamery Park, located, Heritage Farm Park – located on Devilbiss Bridge Road (across from Glade Elementary), Walkersville Community Park – located at the end of Kenneth Drive, and Gilmore C. Trout Memorial Park – located at Sandstone Dr. and Bedrock Dr. in Sun Meadow subdivision. The Walkersville Recreation Center, the place of many town activities, including Swing Dancing, is located at 83 Frederick Street. Frederick County Parks: Fountain Rock Park and Nature Center, 8511 Nature Center Place, Walkersville. Maryland State Parks: Cunningham Falls State Parks. Homes for sale in Walkersville Md is your source for Walkersville listings. Walkersville Md real estate listings are updated regularly. Contact Chris Highland for a personal tour of any Walkersville listing. 301-401-5119. Walkersville Md Life, homes for sale in Walkersville Md, single-family homes for sale, town homes for sale, and condos for sale in Walkersville zip code 21793.